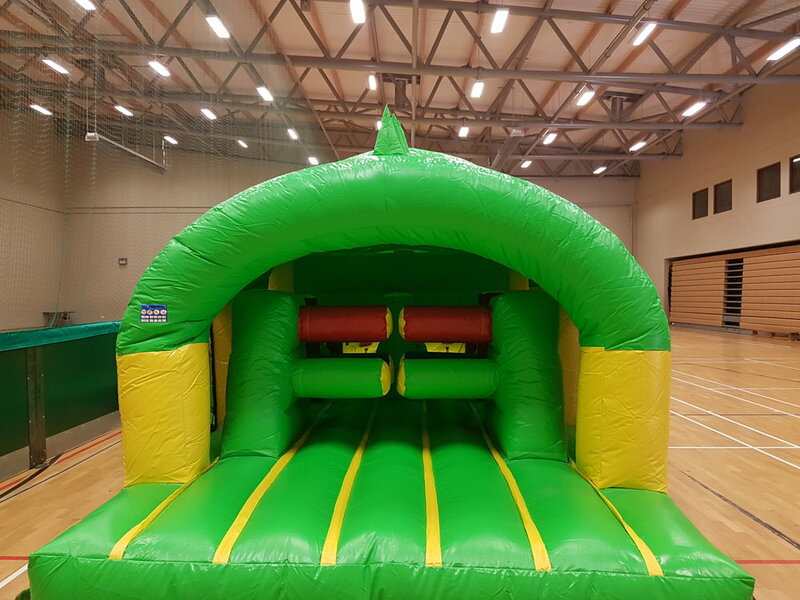 A complete obstacle course with Crocodile theme and realistic mouth slide. Click the image on the right to view the full screen image. Our Crocodile Obstacle course has all the excitement rolled into one. A 2-piece course with walls, bollards, tubes and slide. Perfect for both indoor and outdoor bookings.